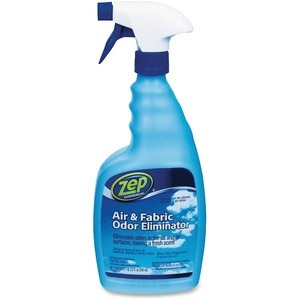 Odor eliminator works on air and fabric odors and leaves a Blue Sky Fragrance. The professional-strength formula eliminates odors at the source. Odor eliminator comes in a convenient spray bottle with a molded grip for a comfortable hold.